While millions of robots and mini-drones have been sold this year, few have ended up in the hands of women or even girls reflecting a deepening gender gap in the world of technology. Many girls’ toys lag behind in the development of spatial skills, hands-on problem solving skills, and confidence with technology. These are exactly the skills that SmartGurlz aims to develop. 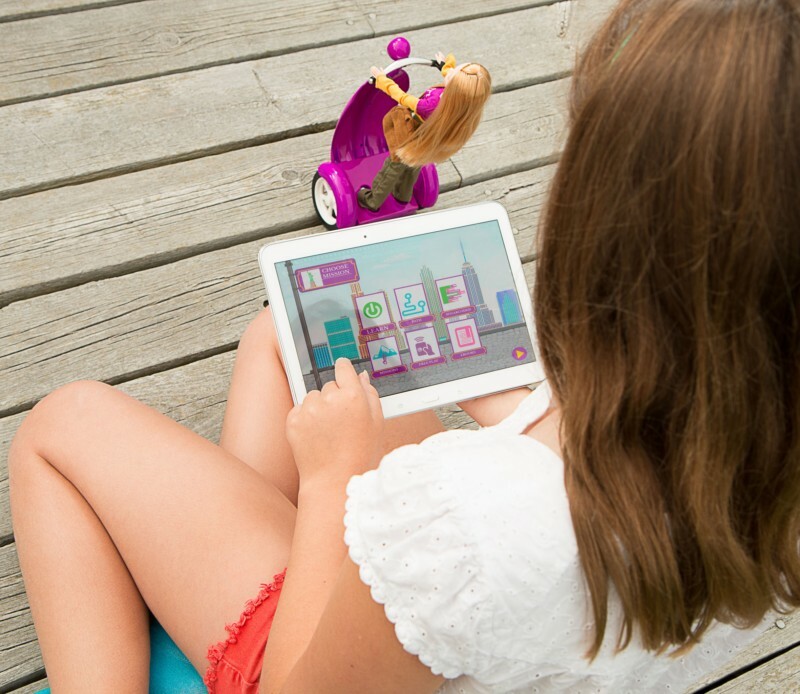 SmartGurlz has a unique offering of stylish scooter robots, dolls and books with digital elements such as an e-learning platform that teaches basic coding. The idea is to encourage girls from being consumers of technology into creators and code writers. The self-balancing aspect is unique since the robot can maneuver in small rooms, on carpet, inside and outside. SmartGurlz’s CTO, Thomas Kølbæk Jespersen has been working with Aalborg University and DTU’s robotics departments to finalise this unique feature. 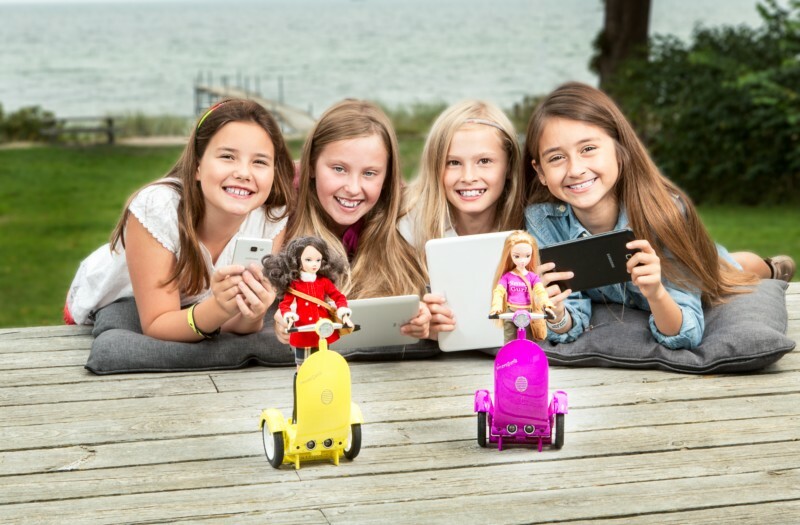 Launched this 2016 Christmas in Denmark, Switzerland and UK, SmartGurlz charms geeks and toy masters but most importantly impresses girls and their parents with the amount of creative fun coding can give. 2. COMPUTER PROGRAMMING. Girls learn to program their robots using our specially made kids coding software App called Sugar CodedTM*. 3. STORYTELLING & PROBLEM SOLVING.Girls learn to story tell and solve missions via coding. *SugarCoded was inspired by open-sourced Scratch, the Lifelong Kindergarten Group at the MIT Media Lab and uses elements from Blockly, created by Google. SmartGurlz first product line is SmartGurlz New York ™ which focuses on the everyday adventures of 4 young talented women studying at the fictional New York Institute of Technology – N.I.T. A collaboration with the Kurhn Doll Company allows us to offer high quality fashion/action dolls that represent the ideals of SmartGurlz New York TM. SmartGurlz New York dolls are naturalistic and smartly dressed with simple elegance that you may find in a real-life, young woman touring around a college campus in the ‘Big Apple’, New York City. The multi-cultural dolls represent various education backgrounds including Science, Technology, Engineering and Mathematics and our books highlight each girl’s corresponding story line. SmartGurlz New York products are available Christmas 2016. Dieser Eintrag wurde veröffentlicht in Education & Studies, English, Fun, General, Programming und verschlagwortet mit girls, Robot, SmartGurlz, Spielwarenmesse von Sebastian Trella. Permanenter Link zum Eintrag.